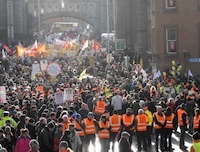 Up to 100,000 people took part in Saturday’s march and rally organised by the Irish Congress of Trade Unions in protest at the government’s planned programme of austerity. The result of the Donegal South West by-election has changed the balance of power in the Dublin parliament, with Sinn Fein poised to create a ‘technical group’ over the last weeks and months of the current Dail. The family of a 79-year-old grandfather say he is lucky to be alive after a shot fired by the PSNI police went through his living room window. Sinn Fein President Gerry Adams tonight [Monday] launched a new cross-border initiative at a United Ireland Rally in Monaghan. 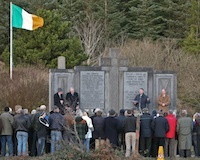 On Sunday, Sinn Fein’s Deputy First Minister addressed the Kilmichael Commemoration to mark the 90th anniversary of a famous battle during the War of Independence in County Cork on 28 November 1920. Many commentators in Ireland and beyond have asked why the Irish people have not taken to the streets. The International Monetary Fund and the European Union have approved an 85 billion euro rescue package for the 26 County state at an average interest rate of 5.83 per cent. Sinn Fein Senator Pearse Doherty has been elected to the Dail for Donegal South West, without reaching the quota after securing a massive 40% of the first preference vote and the lion’s share of the second preference transfers in Thursday’s by-election. A major demonstration is to go ahead on the streets of Dublin tomorrow against the savage cuts being imposed by an illegitimate government at the behest of greedy bankers, European bureaucrats and the International Monetary Fund. Nationalists have expressed disbelief at news that ‘no prosecution’ is be taken against an RUC policeman over the 1994 Loughinisland Pub Massacre. Gerry McGeough was at the Six-County Assembly this week to challenge British injustice in selectively pursuing historical cases in the conflict. Republicans in Derry forced the abandonment of a local meeting on policing which was to take place in the Guildhall on Wednesday night. Around 150 people gathered in Belfast’s Milltown Cemetery on Saturday afternoon, November 20, to mark the 19th anniversary of the deaths of IRA volunteers Patricia Black and Frank Ryan on active service. Counting is underway in the by-election in Donegal South West, with Pearse Doherty on course to win a historic victory for Sinn Fein. The Dublin government today unveiled a raft of budget measures it claimed would restore the 26-County State’s finances by 2014, but fudged key facts and figures on how it would affect the public. Independent TDs have joined with the opposition parties to pile pressure on the crumbling Dublin government to pull the plug after the Green Party finally succumbed to public outrage and said it is set to pull out. The public finances of the 26-County state will, for the next three years at least, be subject to “regular reviews” by external monitors working on behalf of the International Monetary Fund, the European Union, and the British and Swedish governments. A group of 100 protestors clashed with Gardai as they made their way the gates of the Dublin parliament earlier this [Monday] afternoon, following a protest against the government’s handling of the economy. Residents of Donegal’s outlying islands are casting their by-election votes today [Monday]. A number of republican prisoners have been refused their visits in Maghaberry prison after they refused to open their mouths and wiggle their tongues before entering the visiting area. Sinn Fein and new republican political party eirigi will share a platform this week, for the first time, during a debate to discuss Ireland’s economic crisis. It seems now that the cheapest bailout in the world has not only cost the Twenty-Six County state over 50 billion euro and rising, but has driven tens of thousands of workers onto dole queues, exposed its citizens to the vagaries of international financial markets and has now resulted in the state surrendering its sovereignty to the IMF. The Green Party has called for a date for a 26-County general election to be set for the second half of January. The Dublin government tonight confirmed that the European Union and the International Monetary Fund have agreed to its request for a financial aid package. British Secretary Owen Paterson has reasserted the British government’s claim on the Six Counties. Families of shoot-to-kill victims could be denied representation at a long-delayed inquest because of a hold-up over fees, a pre-hearing heard today [Friday]. A bailout for thousands of homeowners in mortgage arrears has been ruled out by 26-County Minister for Finance Brian Lenihan and Financial Regulator Matthew Elderfield. Sinn Fein President Gerry Adams has said Sinn Fein is strong enough in west Belfast to retain its Westminster and assembly seats without him. 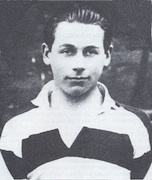 Kevin Barry was hanged by the British in Mountjoy Jail at the age of eighteen, ninety years ago this month. 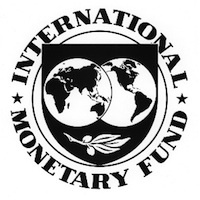 Representatives of the International Monetary Fund have arrived in Dublin to begin work on a financial aid package for the insolvent 26 County state. 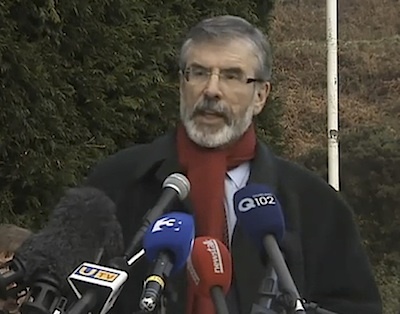 Sinn Fein President Gerry Adams has called for others to join with him in providing leadership to help bring Ireland out of the current crisis. The European Union, the International Monetary Fund and the European Central Bank are working on a solution for the Irish banking sector, EU economic and monetary affairs commissioner Olli Rehn confirmed today. A man who was serving a 14-year jail term for attacking a PSNI station with a mortar rocket was acquitted of the attack on Friday. The family of a loyalist murder victim have raised concerns that the UVF may attempt to exploit his death to divert attention away from calls for it to disband. An Ulster Unionist member of the Policing Board has claimed that ‘dissident’ republicans have almost reached the same level of terrorist capability as the Provisional IRA. Burmese pro-democracy leader Aung San Suu Kyi is to be invited to Dublin by Mayor Gerry Breen to accept in person the freedom of the city conferred on her 10 years ago. Sinn Fein President Gerry Adams has today announced his decision to put his name forward for the Sinn Fein nomination for the Louth constituency at the next 26-County General Election. The equal recruitment of Catholics and Protestants to the North’s police is to end next year, the British government said today. 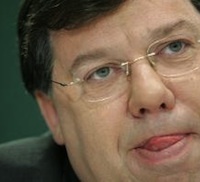 The 26-County Taoiseach Brian Cowen has attacked Sinn Fein’s Pearse Doherty as election campaigning heated up in Donegal. 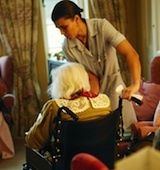 The Dublin government has deprived thousands of older people of their legal entitlement to nursing home care, according to a report by the Ombudsman and Information Commissioner Emily O’Reilly. Sinn Fein’s Arthur Morgan, the party’s spokesman on finance, will not contest the next general election. 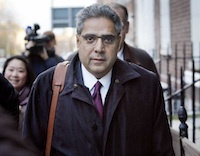 The Louth deputy confirmed this week he wanted to return to his family business, after serving two terms. Dealing with the past and the issue of truth recovery arising from the conflict has become increasingly fraught. 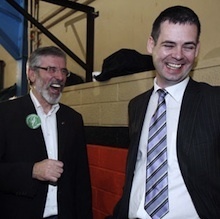 Sinn Fein’s finance spokesman Arthur Morgan said tonight he will not stand in the next general election. 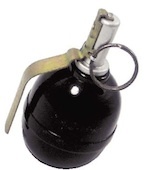 The use of a military fragmentation grenade in an attack on a PSNI patrol in west Belfast marks a new departure for the armed campaign of Oglaigh na hEireann (ONH) and the breakaway IRA groups. On the day it emerged European bureaucrats have taken up offices in the 26-County Department of Finance, EU economic commissioner Ollie Rehn flew into Ireland to inspect the Dublin government’s economic plans. Sinn Fein Six-County Minister Conor Murphy has lambasted the PSNI police after they used loudhailers, spotlights and marksmen to arrest a man who was later cleared of any involvement in a suspected robbery. Former IRA prison leader Brendan ‘Bik’ McFarlane has declared that a document from the 1981 hunger strike proved that republicans did not reject a British government deal to end the 1981 Hunger Strike. Memorabilia spanning a thousand years of Irish history is set to go under the hammer in the latest controversial sell-off of historical treasures by Whyte’s auction house in Dublin. 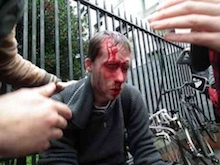 The image of the typical dissident republican protesting against the queen’s visit to Ireland next year is clearcut. 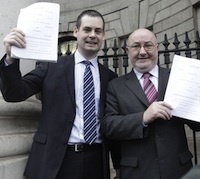 An impressively strong High Court judgement in favour of Sinn Fein’s Pearse Doherty has delivered a stunning blow to Brian Cowen’s crumbling regime and forced it to finally hold the long-delayed Donegal South West by-election. A four-year-old girl and a pregnant woman escaped injury in a loyalist bomb attack at their west Belfast home. The British Secretary of State has told the Westminster Parliament in London that there should be no more open-ended investigations into the past conflict. 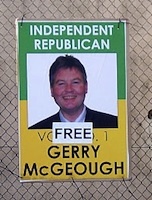 Republican activist and author Gerry McGeough has expressed his thanks to supporters as his juryless “trial” restarted in Belfast this week. 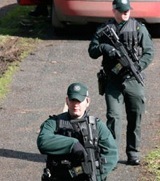 A propoganda agency operated by MI5 and PSNI Special Branch is to be disbanded, it was announced on Thursday. An interview with three representatives of Oglaigh na hEireann leadership -- one member of the organisation’s Army Council and two general headquarters staff -- conducted this week by Brian Rowan of the Belfast Telegraph. In the wake of today’s High Court decision, the Dublin government has announced this evening that a by-election will be held between November 22nd and 29th in Donegal South-West alone. Riot police attacked students in Dublin today with baton charges, dogs, armored vehicles and horses after the students protesting against government cuts occupied the Department of Finance and threw eggs at the Dail. The High Court in Dublin has upheld a legal challenge by Sinn Fein aimed at forcing the coalition government to hold the long-awaited by-election in Donegal South West. Donegal North East TD Dr Jim McDaid has resigned his seat in the Dublin parliament. A bailout of the 26 County state by the European Union and the International Monetary Fund (IMF) is increasingly likely as confidence in the coalition government’s ability to manage the state’s economy ebbs away. The 32 County Sovereignty Movement has warned that undercover British military personnel have been witnessed operating on back roads around Derry city, heavily armed and dressed in black military fatigues. A beer keg packed with 40kg of home-made explosives was uncovered under a railway bridge in County Armagh on Friday, sparking a 36-hour security alert. eirigi councillor Louise Minihan was arrested this [Monday] afternoon after symbolically splashing red paint over 26-County Health Minister Mary Harney. New eyewitness accounts of the shootings of 11 people by British soldiers in west Belfast were submitted to Six-County attorney general John Larkin at the weekend in an attempt to get fresh inquests opened.